Suzuki’s massive 2016 sales growth attributed to product launches of multi-awarded vehicles, new dealerships in the country’s developed cities, and events that have spurred market interest. Leading compact car manufacturer Suzuki Philippines (SPH) posted a record-breaking 37% year-on-year (YoY) growth as they wrapped up a fruitful year marked by timely product launches, new dealership inaugurations, and other events which have brought the products closer to Filipinos’ hearts. 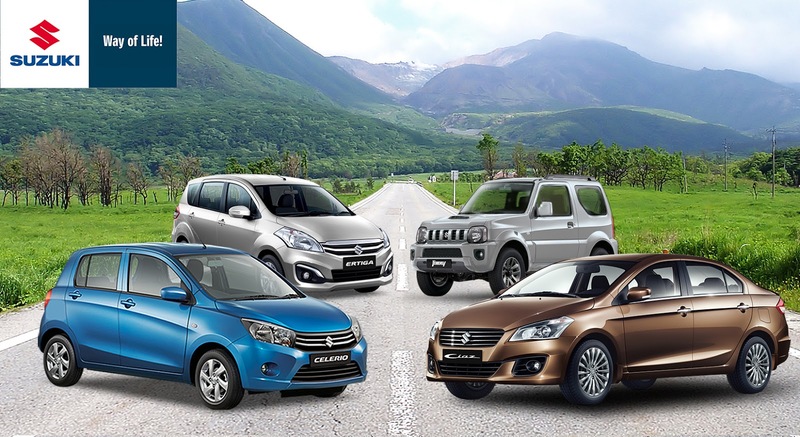 From teasers that gave a preview of the all-new sedan Ciaz to the first-ever media and bankers’ test drive which showcased the subcompact sedan’s road-handling excellence, Suzuki was able to connect to a wider set of audience through strengthened marketing efforts in 2016. Last year, SPH added two award-winning vehicles to its growing family: the elegant and sporty subcompact sedan Ciaz, which was distinguished as the Best Value for Money in the Compact Sedan segment at the 2016 Auto Focus Media’s Choice Awards and the Best Subcompact Car at the 2016 CAGI Car of the Year Awards; and its first-ever utility commercial vehicle (UCV) Super Carry, which earned the Best Utility Commercial Vehicle distinction at the 2016 CAGI Car of the Year Awards. The multi-awarded Ciaz delivers best-in-class fuel efficiency, advanced features, stylish exteriors, redefined interiors, and exceptional performance, as demonstrated in test-drive activities conducted last year. Meanwhile, Super Carry features exceptional strength, quality performance, superior loading capacity, and a Euro-4 compliant Diesel engine, designed to enhance operations of businesses, particularly MSMEs, while helping address recurring national issues such as heavy traffic, increasing fuel costs, uneven road conditions, and worsening pollution.